Horncastle CC’s First XI will host Old Lincolnians Seconds in the Lincolnshire County League Forth Division on Saturday, beginning at 1.30pm. The following day the Sunday Firsts will host Scothern. 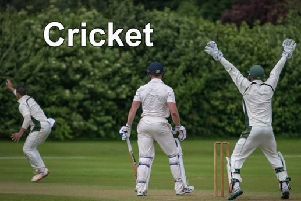 Woodhall Spa CC’s travel to Louth on Saturday (noon) with the Seconds hosting Grantham Seconds (1pm). The Sunday Firsts travel to Lindum and the Seconds host Cherry Willingham.